Carpet Beetles are small, oval shaped beetles generally around 2-4mm long. In recent years they have overtaken the clothes moth as the major fabric pest in the United Kingdom. The larvae, known as ‘wooly bears’ are covered in brown hairs and they molt and shed off skins as they grow, which can often be the first sign of you having an infestation. At Envirosafe Pest Control Ltd we offer you a wide range of carpet beetle treatments, carpet moth treatments and techniques for carpet mite removal that’ll fix your problem quickly, with services available throughout London and the South East. Adult carpet beetles only feed on pollen and nectar of garden flowers, but like to lay their eggs in felt, fabric or accumulated fluff found in buildings. 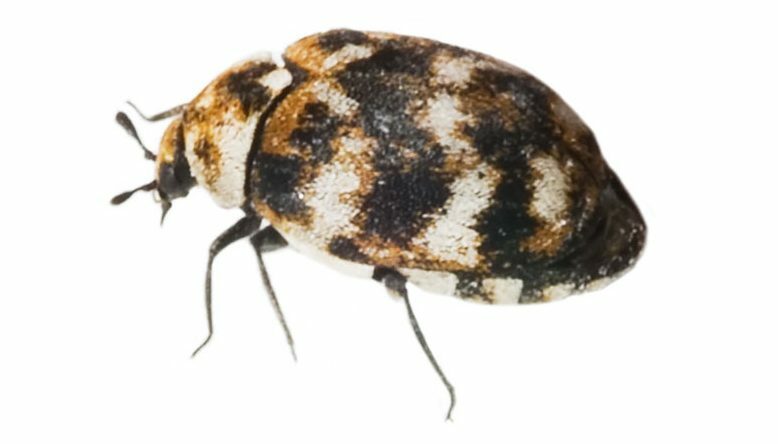 When entering your home, carpet beetles tend to wander along pipes and into cupboards, hiding in clothing and blankets which can also constitute their food. Our technicians use various carpet beetle treatment methods, from traditional and effective pesticides to heat or steam treatments. These methods make sure that your household fabrics are free of infestation and prevents further damage to your belongings. You are more likely to see adult carpet beetles between April and June when they come inside looking for places to lay their eggs and their damage generally consists of fairly well-defined round holes along the seams of fabric, where the grubs bite through the thread. Our technicians offer a full inspection to understand the areas of infestation. Using an insecticidal spray in a safe manner, we remove the pests from affected areas. The underneath of carpets and floorboard crevices will also be treated as they may be areas that these insects have collected in over time. Envirosafe Pest Control Ltd include a 30 day guarantee with our carpet beetle and carpet moth treatment services. For full details, please look at our terms and conditions page. If you have any questions on carpet bug treatment, you can get in touch with us using the contact form below.